If you've got a question about physiotherapy or our clinic, you might well find the answer below. If not, just give us a ring; we'll be happy to answer your queries. Please wear comfortable clothing, so we can examine you properly and teach you some therapeutic exercises. During your physiotherapy treatment we may ask you to remove some of your clothes. This is so we can assess your condition correctly. If you don't feel comfortable doing so, that's absolutely fine, but please bring shorts, a T-shirt or vest to change into instead. You are also more than welcome to bring a chaperone into your treatment session with you if desired. If you are unable to bring a chaperone with you, but you are still keen for one to be present, please make this known to the practice at your booking in. Then we can ensure that another member of staff attends the appointment with you, to act in your best interest. Parking is on the road or in the Royal Oak car park by kind permission of the landlord. Are your physiotherapists members of a professional body? Yes, we're all members of the Chartered Society of Physiotherapy and registered with the Health and Care Professions Council (which used to be known as state registration). Appointments last for 30 mins and if you have multiple injury sites then a 45 minute appointment is advised, but this can vary slightly depending on your circumstances or on the insurance company you are with. This gives us time, on your first visit, to fully assess you and usually begin treatment. On your following visits, it allows us time to reassess and treat you. No. We may be able to see you on the day of your call and, if not, we'll usually be able to give you an appointment within a day or two, unless you have time restrictions of your own. What happens if I have private health insurance? You'll need to contact them to check their requirements. Most companies ask that you see your GP before coming to us, and they may specify a limit of cover or a particular time frame. Usually they will pay us direct on receipt of our invoice, or you can choose to pay us and claim the money back from them. Do you treat NHS patients as well as private ones? Yes, but only if referred directly by GPs within the Rushcliffe area under contract with Rushcliffe’s Clinical Commissioning Group. Patients can self refer or can be referred by their GP, consultant, Company doctor or insurance company. Some insurance companies may require a referral from your doctor before treatment can commence. Yes, please feel free to bring a chaperone to your appointments. This is a legal requirement with patients under the age of 16 years of age. 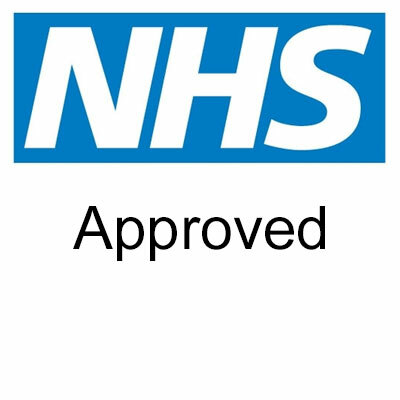 Unless your treatment is being funded by a private medical insurance company or via the NHS, then payment will be requested after each treatment session. We accept all major debit and credit cards, cash or cheque.